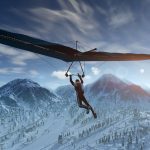 Ring of Elysium gives you the option to chose between 3 classes, Glider, Skiing, or Climbing. These classes all come with different pros and cons. Each class also has a different capacity size that determines how much loot you can carry at one time. Take a look at each of the classes below and decide which is best for your play style. In our guide below we are displaying the capacity as if you had a vest, an in-game item that increases your capacity. It is also good to note that all 3 classes spawn you with a few bandages, the only difference in spawn materials is what weapon and ammo type you spawn with. The glider and skiing class spawn you with a pistol, while the climbing class spawns you with a shotgun. The glider is used to go on top of tall buildings, mountain peaks, or towers to jump and eventually glide off of. The glider is the most mobile class type, and allows you to cover insane distances over a short amount of time. The glider can also be helpful to avoid fall damage when you need to jump out of a building, but are too high up to avoid fall damage. The main drawback to the glider is that it has the smallest capacity size. The gliding class spawns you with the Glock 17 pistol. The skiing perk is actually not skiing at all, it’s snowboarding but I digress. Regardless, the skiing class is a middle ground between the gliding and climbing classes. You don’t move as quickly as the glider, but faster than the climber. However, you have more capacity than the glider, but less capacity than the climber. The snowboard is best when you are on a tall hill to pick up momentum. It can also be used on roof tops to help prevent fall damage, it’s just not as easy to maneuver as the glider. 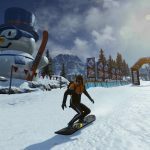 One call part about the snowboard is that you can press your jump button (space by default) to do tricks while hitting jumps. The skiing class spawns you with the USP45 pistol. The climbing class has the most capacity by far, in fact 150 more capacity than the popular glider. To use the main perk of the climber which is the zip lines you need to go to the zip line locations on the map. Once on the zip lines you are able to move quite quickly. However, once you are up there you are an easy target as you are set on a static path, and can’t jump off without taking fall damage. A somewhat useless feature of climbing is that you are allowed to climb certain walls that the other class players aren’t able to. These walls are normally found near mountain tops, in somewhat useless locations. It also takes an insanely long amount of time to climb a short distance, usually it is faster to just run around. The climbing class is also the only class to spawn you with a shotgun instead of a pistol. 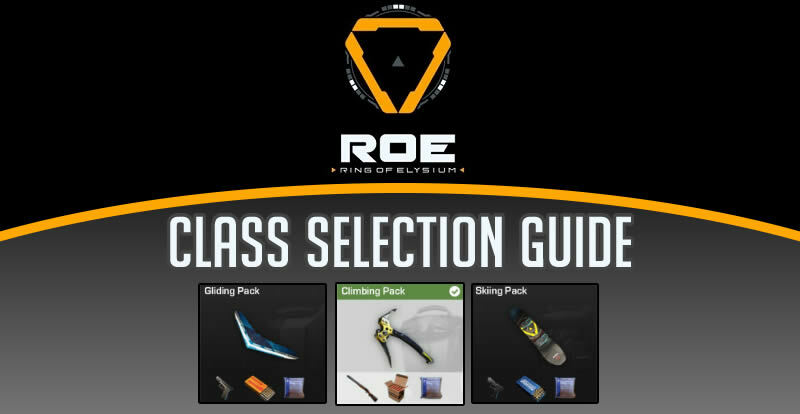 Make sure to check out Ring of Elysium Weapons Guide to figure out which weapons you would ideally pair with your class selection. Check out the guide to enable FPS counter in Ring of Elysium to see how well your computer handles the game.